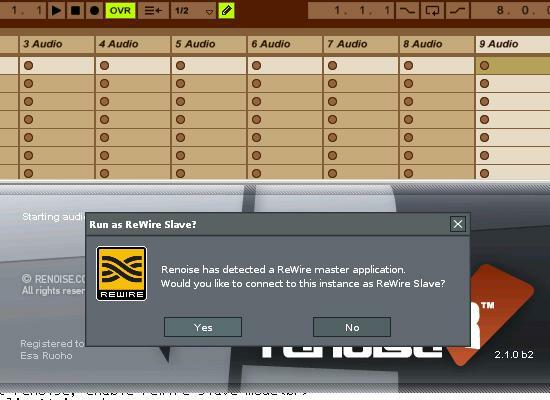 Renoise ReWire Live Logic - How to ReWire Slave Renoise into Ableton Live - or how to ReWire Slave Renoise into Logic. hi. renoise 2.1 has rewire. so lets hook it up to various software. this isnt for pros, cos you already know how to do these things without having to read pages like these. 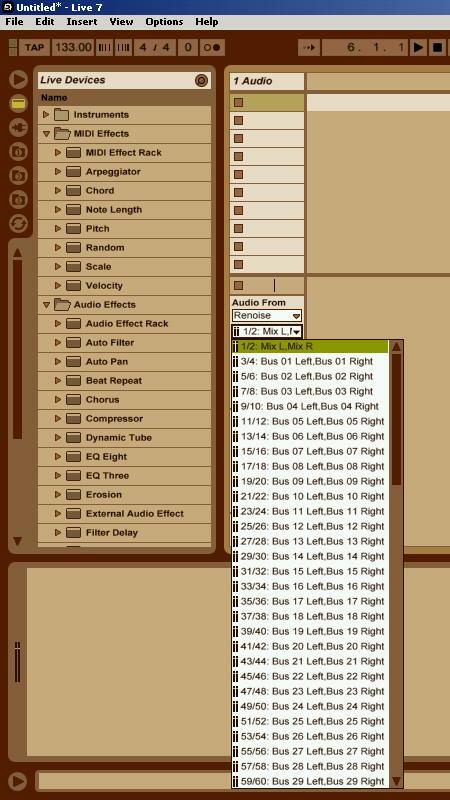 process: create 8 audiotracks (that listen to buses 1-8). go to mixer window, use Create New Auxiliary Channel Strips, make them listen to rewire renoise 1-8, and output to nothing. 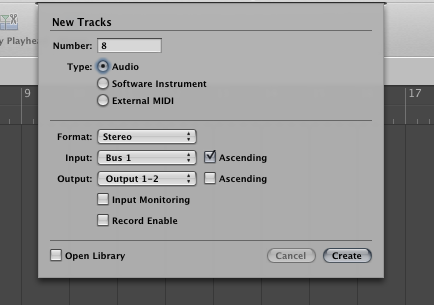 then enable record on audiotracks 1 - 8. then start renoise, enable it as rewire slave, and configure renoise to send channels 1 to 8 to rewire channels 1 - 8. track in renoise, enable record on audiotracks 1-8 in logic, press play in logic, you should hear the sounds. click record in logic, and what you are hearing is being committed to wavefiles. 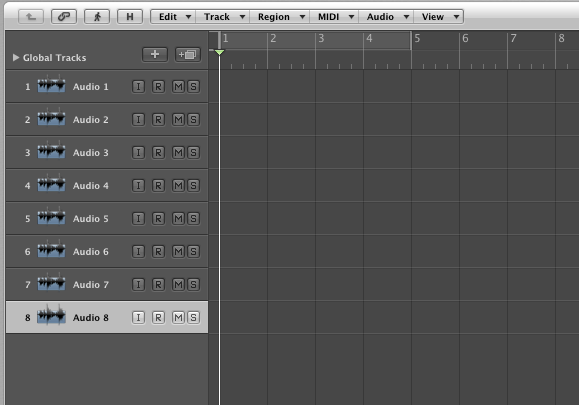 1. create 8 audiotracks. choose input to be bus1 with Ascending ticked. 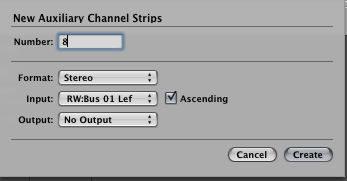 5. choose to create 8 new auxiliary channel strips, format stereo, input RW:Bus 01 Lef (Ascending ticked), output nothing. 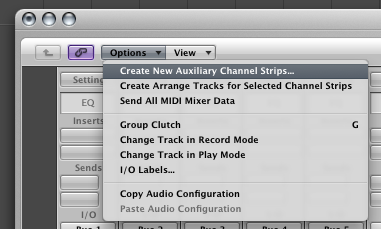 6. now enable recording of audiotracks 1 - 8 by clicking on the R. you can select all of them in the mixer and click on R once and all 8 will start flashing that they are ready for recording. 7. there, you are now finished with the logic aspect of this. 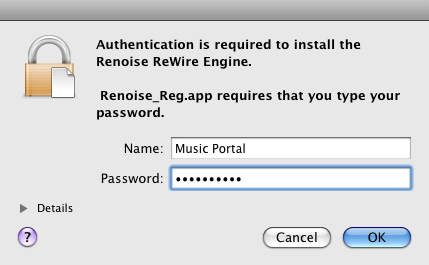 now boot up renoise 2.1.0. i dunno why mine wants an authentication in order to install the renoise rewire engine, but here's a screenshot of that anyway. 8. yes we want Renoise to run as ReWire Slave. 9. switch to mixer view. 12. well, this should be it. track on all 8 channels with samples. press play in logic. if you still have the flashing R box in audiotracks, you should hear everything that renoise is sending via rewire to logic, as audio. 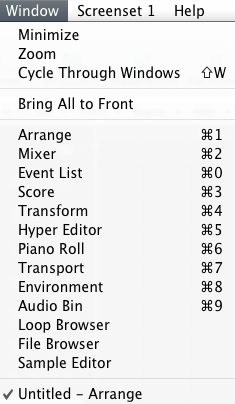 if you then wanted to record it, you'd enable record in the logic transport, and away you'd go. 21.04.2009 1:30pm tuesday. 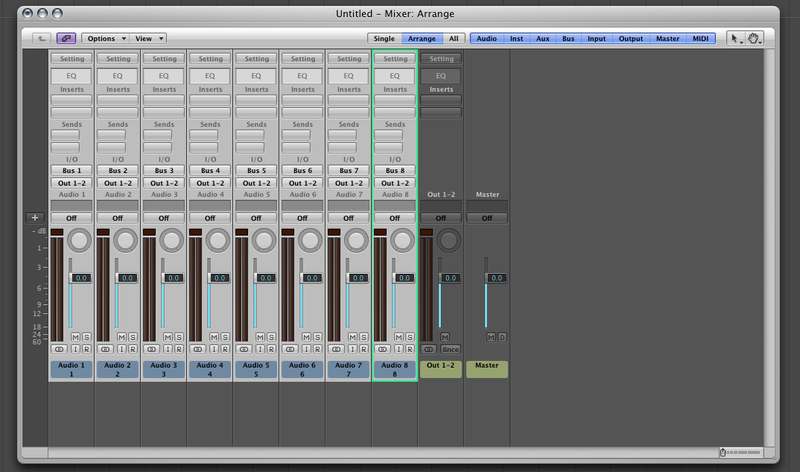 hopefully tonight i'll put in a similar thing for live7 (rewire master) renoise 2.1.0 (rewire slave). i think it'll be easier. 01. change Audio From in Ableton Live to Renoise. 05. go to mixer and click the buses into the channels. 06. press play in ableton live. not sure if my laptop can handle that tho. one of those 17" macbookpros prolly would tho. its possible this kind of a setup would be rock solid with that tech.